DISCLOSURE: As coordinator of the Tennessee State Fair's blogger outreach program, I received complimentary tickets to facilitate this post. It's that time of year again! Kids are all heading back to school and we are finally getting ourselves back into a somewhat "normal" routine. Grocery lists have shrunk enabling us to put a little money back for the Tennessee State Fair! We have made the state fair a family event for as long as I can remember and it just gets better every year! Did you know the Tennessee State Fair has been held every year (with the exception of the 4 year span during World War II) since 1906!! 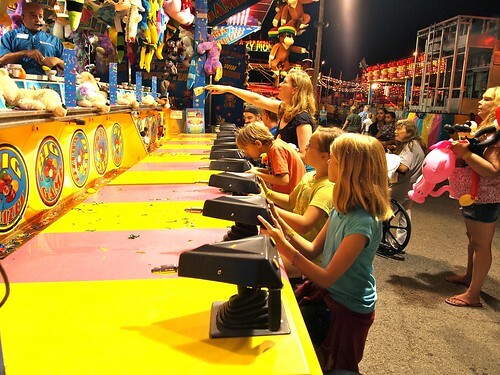 The fair has entertained Tennessee families for more than 100 years. It attracts more than 230,000 visitors annually. There are some big things going on this year including the Tennessee Two-Crust Apple Pie Contest, Hendrick's Racing Pigs, tons of livestock events,live music daily, and of course the rides, you know that's really why you go to the fair or is it the food?! The Fair is boasting their world famous fried Goo-Goo cluster, a local delicacy. You MUST try it! Of course they will have all your all time faves... funnel cakes, cotton candy, corn dogs and every other yummy thing you can think of. I love the way the aromas meld together, in the air, at the fair... can't you just smell it now?! My family is so excited to go to the fair. We plan to make an entire day of it. Seeing all the attractions, tasting all the food and maybe even playing a few games. The Tennessee State Fair is a fun, family friendly event that has a little something for everyone. 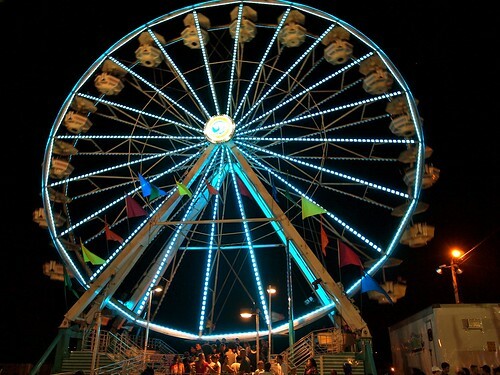 Check out theireasy to use scheduler and plan your family's day at the fair today! *Bring any non-winning Tennessee Lottery ticket to the gate to receive $2 off one adult admission. (I have PLENTY of those!) You can purchase your tickets online, on site, or at participating Kroger locations. Unlimited Ride Wristbands: $25 The Fair starts Friday September 6th and wraps up Sunday September 15th so make A day of it! I hope to see you there enjoying the great music and fun in the sun!